One of the biggest challenges is being able to respond flexibly to peak service times. It’s not only a matter of staff organisation but also machine capacity. 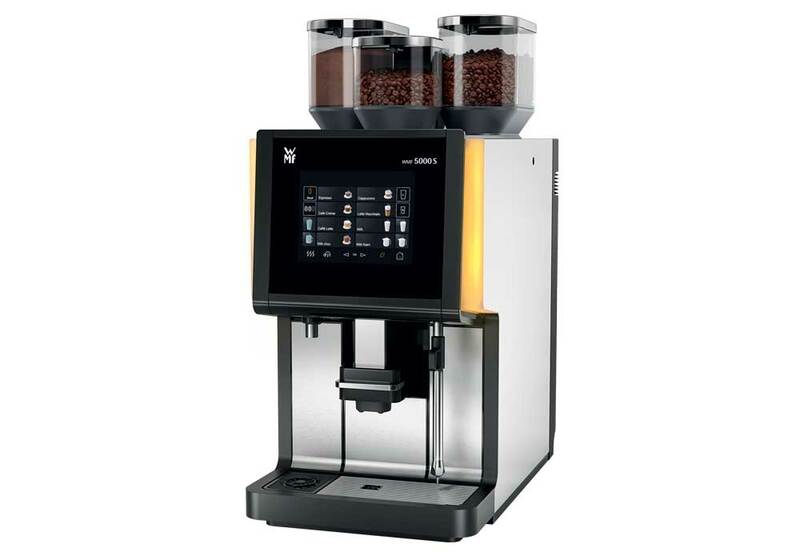 The WMF 5000S ensures, for example, that during the morning rush hour on the streets, customers are all quickly served and satisfied. And that’s no longer down to staff, but a consistently top quality, high-speed preparation process. These are of course major success factors which facilitate higher turnover on a daily basis. The WMF 5000 S is like a loyal team member you can always depend on: pulling its weight and always fast enough when it counts. At the same time, it’s intuitive and easy to use. Just as staff aim to please customers with a friendly smile, this fully automated team member gives you a perfectly tailored drink at the touch of a button – for each and every customer. The WMF 5000 S not only offers high performance, but can be cleaned efficiently and thoroughly. Because, as we know, nobody can afford to wait. The heavy duty metal brewer and high performance pump ensure a long service life and peak performance. The DYNAMIC MILK-System offers a full range of milk and milk foam creations – fully automatically. Speedy cleaning thanks to „Clean in Place“.